I am so glad I had the chance to read this book. I have learned so much about Mass, Faith, and have developed a greater appreciation for the Mass and church history. There were times I got chills and tears in my eyes. A wonderful book to read during Lent or anytime. It also left me more at peace with the book of Revelation. Our group was amazing at sharing thoughts, ideas, fears and giving encouragement to each other to continue to learn more. I am thankful for this book and those who took the time to read it along with me! Weekly/Monthly: Read 1 Chapter in “Reasons to Believe”. This is another Scott Hahn book I have had for awhile. We had our last study group last night, I was sad to be done with the book and the discussions. We are all talking about doing something again starting at the end of the school year. Run 3 days. This week is packed in the evenings and days with Easter church and soccer stuff. So I am giving myself one less day of commitment here. Daily: Morning Blessing, Morning Prayer with kids is hard, I am determined to keep trying! One on one conversation each evening for all. Finish family Lent study. Weekly: Still working on household order and better meal planning. 1. Daily Check Points: Weekly Plan Sheet. Still struggling through ups and downs. 2. 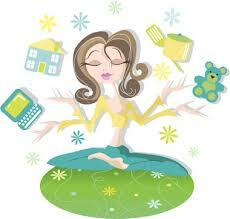 Weekly & Monthly Tasks, Chores and To Do Lists: Weekly Plan Sheet & Monthly Cleaning Schedule. Behind on cleaning yet AGAIN! In case you hadn't noticed my lack of score posting I was the crazy busy last week. Well I guess I can't go from chaos to peace in one week. The kids and I were able to head out of town for part of spring break thus my late posting this week. Being out of town gets me off the hook for part of the week on house goals. Though I should be helping out more at my parents house, but instead I seem to revert to being their child again and not doing much. 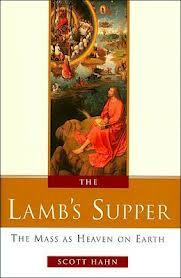 Weekly/Monthly: Read Part III Chapter 3 & 4 in “The Lamps Supper” and answer questions Run 4 days. I did better but still did not hit 4 days last week. Daily: Morning Blessing. Still working on incorporating this into our crazy mornings. One on one conversation each evening for all. Family Lent study. Weekly: Better household order and meal planning. 1. Daily Check Points: Weekly Plan Sheet. 2. 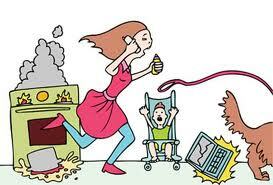 Weekly & Monthly Tasks, Chores and To Do Lists: Weekly Plan Sheet & Monthly Cleaning Schedule. Tuesday: Weekly: Visit with Family. Get ideas for my oldest daughters Birthday. Fri: Weekly: Unpack and get ready for the weekend.